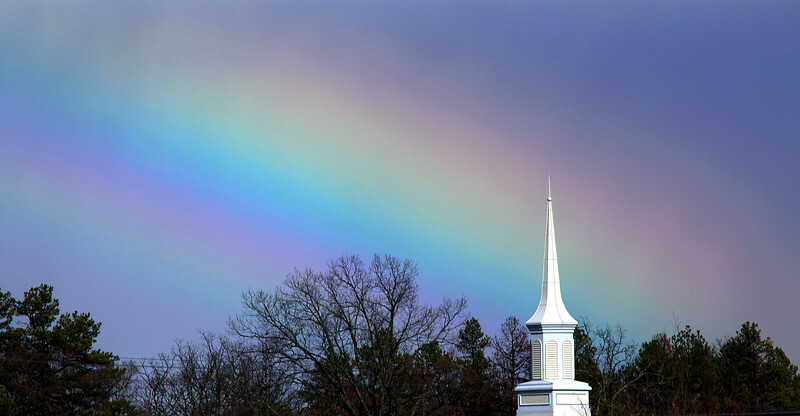 I was in town with to many things in the way to get the photo that I wanted, so taking a chance that the rainbow would hold out I drove all the way out of town and noticed this church steeple. When I finally got everything set up and took a couple of photos the rainbow faded into nothing. Sometimes the best photos are the ones that you do not plan for they just happen, kind of like life.